When you are packing for a holiday, whether it be jetting off to the sunny Caribbean or to the icy poles of Iceland, it can be incredibly tricky. So, it is no wonder that it’s a common occurrence to end up throwing in everything but the kitchen sink, resulting in a severely over-packed suitcase that resembles a jumble sale – sound familiar? 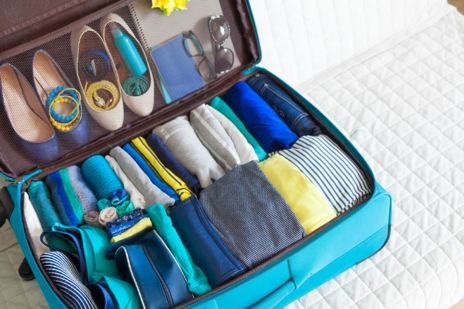 If you are ever struggling to know what to pack, there are a number of lists which can be found online, such as this handy guide from The Telegraph. After you’ve made a list of everything you need, it is worth double-checking your baggage measurements and weight allowance. Most airlines will happily charge you extra money if your suitcase is over your baggage limit, or if you have the wrong sized hand-luggage – the last thing you need before even getting on the plane! To be on the safe side, it is worth purchasing some luggage scales to ensure you can check the weight every so often whilst packing. 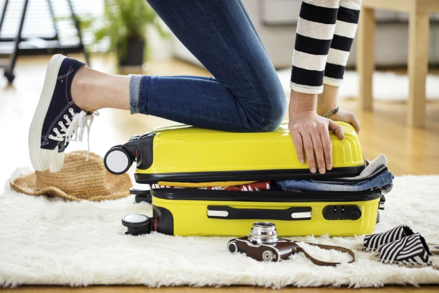 If you’re close to your baggage limit, consider wearing some of the heavier items of clothing to the airport, such as heavy shoes or jewellery – it’s amazing how much weight they take up. However, it’s best if you can avoid over-packing as much as you can, to give yourself a chance to bring back any souvenirs or gifts for friends and family. Have you ever unpacked your suitcase to find a mass of creased clothes and no iron to deal with it? One way to combat this is to consider rolling up all your clothes, instead of folding each item – this can help to save space and keep your clothes looking fresh once you reach your destination. To save room even further, you could even use vacuum bags, which also avoids the risk of light-coloured clothes being stained by dark clothes and dirty shoes. To avoid the glares of fellow travellers at the airport when passing through security, it is important to make sure you are organised. 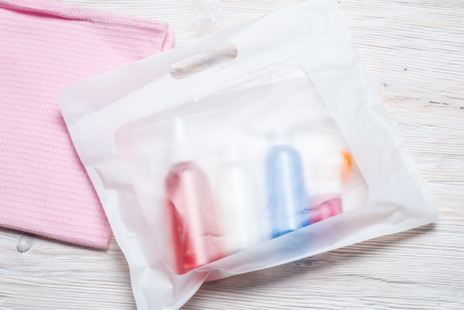 One way to do this is by storing items into clear zipper-bags, which makes it easy to find when you need them – these can be picked up at most supermarkets for next-to-nothing. Some stores even stock multicoloured zipper-bags, which allows you to colour-coordinate. For example, you could place all your electricals in the blue bag – such as your phone charger, camera charger, adaptors and headphones; and things for the journey home in the red – such as door keys, and your car keys and parking ticket if you have parked your car in the airport car park. When heading away, it can be easy to accidentally mispack liquids over 100ml – particularly if you’re in a rush. But it is important to be on top of this, to prevent any of your belongings being confiscated at the airport. To avoid any embarrassment, check the capacity of all liquids you are taking with you as you are packing, and if they are over 100ml, transfer the liquids into small 100ml travel-sized bottles (found in the likes of Poundland) and place inside a sealable plastic bag – but remember, you are only permitted one per person! Some people may not realise, but the same goes for e-liquids too. If you are taking any in your hand-luggage, ensure your e-liquids, including Juul pods, are under the 100ml limit – any larger bottles can be stored in your hold luggage, unlike the electronic cigarette itself which is prohibited in hold baggage. "A private life is a happy life"